Majority of transformers are used for electric power supply for electrical insulation and as heat transfer agents from an active part to chilling units contain a special type of oil. That’s why it is important that transformer fluid corresponds to industrial standards. But under influence of negative factors (contamination with mechanical impurities, oxygen and water) parameters of transformer oil worsen and need to be restored to standard values. GlobeCore offers for companies performing repairs, maintenance and operation of transformers and other oil-filled equipment its СММ-0,5 oil treatment units. They are designed for pumping, heating, degassing and purifying of transformer oil from mechanical impurities and moisture. filtration block with replaceable cartridges. 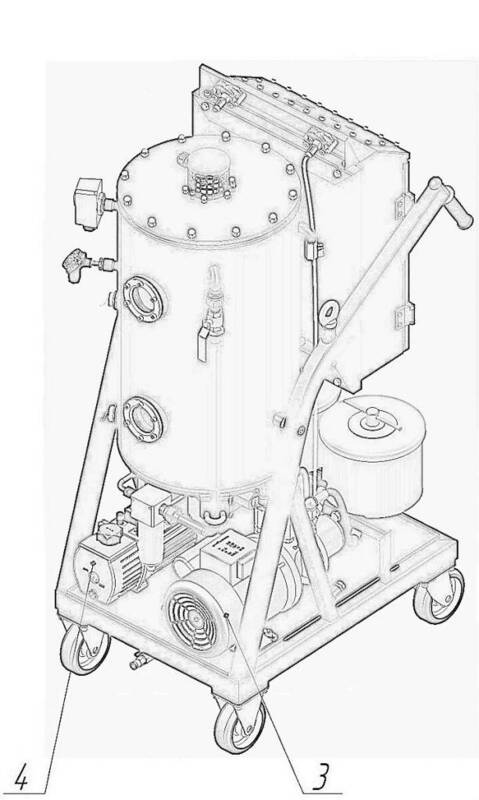 General view of degassing unit is shown on picture 1. 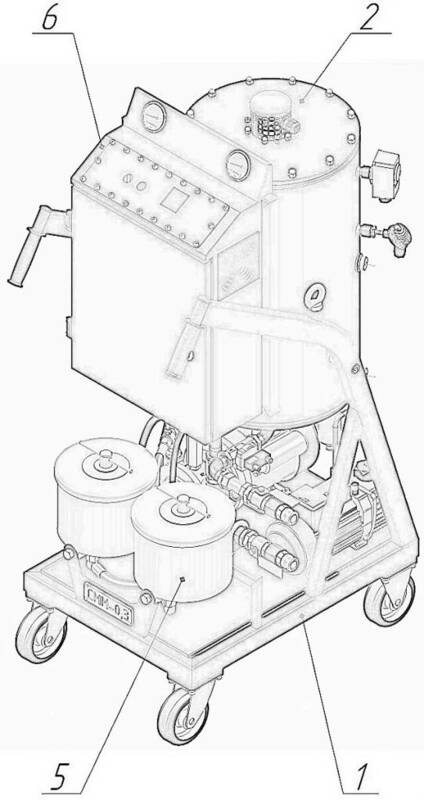 Picture 1 – General view of degassing unit: 1 – frame, 2 – vacuum chamber/heater, 3 – transferring pump, 4 – vacuum pump, 5 – block-filters, 6 – control panel.